Mothers have a tough routine especially with a new born baby and they do everything to take care of the baby, like giving him healthy food and changing diapers at the right time and keeping him clean from the germs. The most important thing that takes time for mothers to do is to make a proper sleeping routine of babies, as they try their best to set a routine of a baby to sleep at night when everyone else sleeps so that no one gets disturbed. There are several reasons why your baby might not sleep at night and would get up after short intervals and start to cry etc. First reasons is hunger, a baby has to be fed after every 4 hours that is why baby wakes up in the middles of the night if it is time to be fed. One important reason is if baby have slept too much in the day, it would not be possible for the baby to sleep all night again. Never put a baby in the crib right after feeding him until and unless he/she burps once so that the baby does not through up milk and can sleep properly. 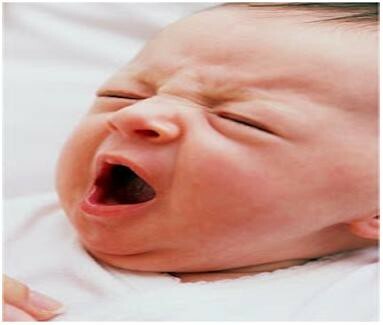 If you baby has a wet diaper, that is also a reason to wake up at night as they feel irritation. Other reasons include rashes or making them wear very tight clothes which could disturb their sleep. Therefore take care of these factors and have a good sleep with your baby.